I am a trainer who is passionate and believes that knowing your personality is as important as training your body. A coach who is your friend as a guid on your journey towards your dream and goals. and wants to grow with the process towards new goals. To aim long-term, and to recognize the improvements in having a plan rather than short-term planning. As a coach i have a decisive role in forming and developing people. My sports background is in Triathlon, I'm a certified lvl 1+2 and Diploma Coach Graduated from the Danish Triatlon Federation and the Sports Confederation of Denmark. In 2016 i recieved club coach of the year also from the Danish Triatlon Federationthis moment and i am teaching new coaches at the Danish Triatlon Federation lvl 1 triatlon education. My job background is HR Partner, focusing on the development of interpersonal skills, I teach in behavior and personality and HR is responsible for our graduates. In addition, I have an administrative role in personnel law and recruitment. Success. Coach Martin Haastrup Ishoi has been notified of your message. 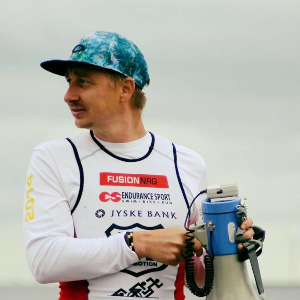 To hire Martin Haastrup Ishoi as your coach, select the coaching service that is right for you.